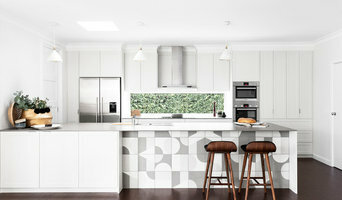 Shift Property Styling is Tasmania's leading property styling business. 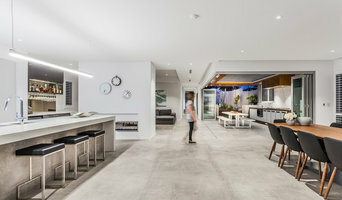 We specialise in providing cost effective recommendations and furniture styling packages to help sell Southern Tasmanian property faster and for more. Because beautifully styled homes sell. Our interior stylists love providing the ideas, direction and skills needed to make your property stand out from the rest including furniture styling packages and home styling consultations that help you sell your property faster and for more. Shift Property Styling create beautiful homes that appeal to the broadest market while showcasing the property to its fullest potential. We take into account the many different elements a home that a buyer looks for in order for them to walk in and fall in love with the property. At Cordony Designs, we offer a full end-to-end service. 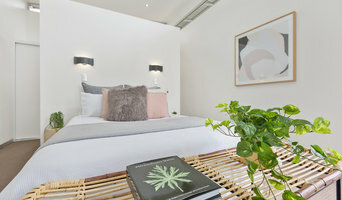 PROPERTY STYLING We work closely with our vendors and agents throughout the complete sales process to increase the appeal of a property to potential buyers and in turn achieve a premium sale price. Through creating beautifully styled spaces we will showcase your home at its best and optimised for market. Our professional tradesmen and styling team will enhance visual appeal and spatial functionality, taking your home from a blank canvas to a stylish and welcoming space. PROJECT MANAGEMENT We assist by cohesively planning all the trades for a stress-free renovation. This is achieved through compiling quotes for your consideration, based on the recommended improvements with appropriate trades, organise and manage all trades in the most appropriate order. INTERIOR DESIGN From a partial makeover to a full home overhaul, our interior designers can work with you to create a tailored, stylish home that suits the way you live. This includes: design, trades & project management. GIA BATHROOM & KITCHENS is a specialist design and renovation company in Melbourne. With over 25 years’ experience, our reputation has been built on quality, professionalism and reliability. Every week we provide exquisite and unsurpassed transformations individualised to each clients’ needs. With a complete start to finish service, GIA provides you with peace of mind that one company will manage all aspects of the renovation process from design to implementation. Throughout the entire process, you will be in the capable hands of our experienced Design & Management Team. 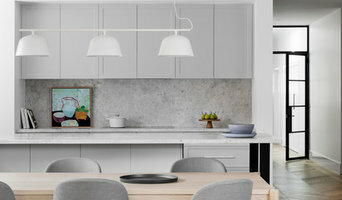 The Kitchen Design Centre designs, constructs and installs custom made kitchens. We don't use any set modular sizing for the cabinetry so everything can be specified by you, our client, with the guidance of your qualified and experienced kitchen designer. Our designers work for us solely and our factory, Perennial Kitchens, constructs all the cabinetry. We are the same company as Perennial Kitchens so everything part of your project runs smoothly with the proper communications. We pride ourselves on quality so you know you're getting a kitchen that will last. Not only do we have high standards for the products we use, we also have high standards for the tradespeople we employ. A Client Manager will oversee the whole construction and installation process so you can just sit back and watch the renovation happen. Our state of the art showrooms located in Eltham and Blackburn have complete kitchen displays showing you the most innovative products available. smarterBATHROOMS+ is a Registered Domestic Builder based in Melbourne, Australia. We are a family owned and run business who have been offering full-service design, build and project management for over 15 years, giving you peace of mind with a turn-key solution to your renovation needs. We pride ourselves on the delivery of outstanding building works tailored to your style and your budget, and can also happily work with Interior Designers as a fulfillment partner. Interior Design and Styling services via personal consultation and E-Design services. 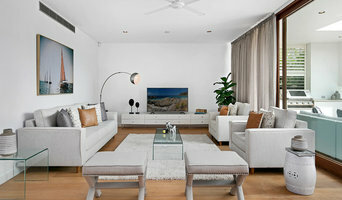 Specialising in residential property styling and product styling. At Lux Interiors, we specialise in designing and building bespoke bathrooms, kitchens and laundries. Based in Perth, we have brought to life countless elegant designs throughout homes in the city’s coastal and riverside areas. We combine our depth of knowledge with our passion for our craft to create stunning spaces that make a statement within your home. Our aim is to fully explore the creative potential of your space and collaborate closely with you to realise your vision. Discover our project showcase today. Reach out to multiple professionals — especially for larger projects — and don't settle for the first bid you hear. Comparing multiple professionals' bids and experiences can help you find the one that’s best for you. Ask a lot of questions now, so you won't have unexpected answers later. Find a home design professional: Narrow down your search by type of professional and location. Browse portfolio photos, read client reviews and contact each professional for more information. Check out the information in the specialised professional sections too for tips on how to hire the right professional for your project.